The Border Security Force (BSF) personnel opened fire at local residents in Ramban in Jammu and Kashmir (J&K), killing six persons while injuring nearly 22 others. The shocking incident took place on Thursday. BSF personnel shot at the residents who were upset because the para military force had allegedly misbehaved with a Muslim cleric's brother. There were also reports that the BSF personnel had also objected to late night prayers which are held during holy month of Ramzan. When residents staged a protest to BSF jawans' attitude, they were fired at. Six persons were reported dead. The figure of the injured was nearly 22. After the incident, there has been call for shutdown in the Valley. 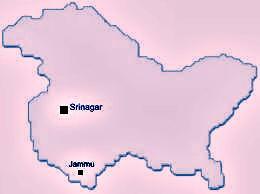 J&K has a history of police, army and para military forces resorting to firing at citizens and using excessive force.